The 2018 Young Judges Competition will take place on Monday 31st July prior to the start of the Summer Championship Show to be held on the Three Counties Showground, Malvern. WR13 6NW .Over the years the competition has proved to be a valuable training ground for future judges of the NPS panel. 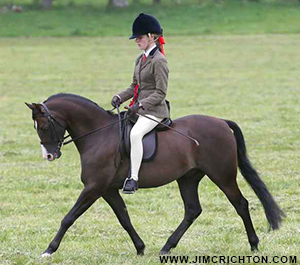 Aim: The aim of the competition is to find annually the top Young Judges both in the British Riding Pony and the Native Breeds. The competition provides the opportunity for young people to develop their skills in terms of judging and also present their understanding of the judging process in an interview situation. Each section will have three age groups: 10 – 13 years, 14 – 18 years and 19 – 25 years and each section will have an overall winner. Ages will be taken as on the day of the competition and competitors are only permitted to enter ONE section of the competition. Awards: Every competitor will receive a rosette. Certificates will be awarded to competitors placed 1st – 3rd in each age group. The overall winner in each of the two sections will be decided by the assessors from the winners of the three groups. The assessors will further agree on an overall winner. The Overall winner will also have the opportunity to accompany Mr Michael Hendrie for the judging of the Cuddy Qualifier on Wednesday 2nd August at the Summer Championship Show. An Area Team award will be incorporated, the winner being the team nominated by an Area scoring the highest combined score. Assessors: The 2017 assessors will include Mr L Bigley and Mr A Perkins. Date, time and place: This competition will be held on the Three Counties Showground, Malvern, Worcestershire WR13 6NW on Monday 31st July starting at 3.00 pm. Young Judges must report and register Mrs Janet James or Ms Megan Smith between 2.45pm and 3.00pm at the Hospitality marquee on the showground, Malvern. A briefing of the competitors will take place to be followed by the judging of the ponies outdoors. Individual interviews will follow indoors. Candidates will be free to go following their interview. All candidates taking part are invited to attend a supper followed by the announcement of the winners and presentation of awards at 7pm. Opportunity to speak with assessors will be possible following the presentation. Procedure: Competitors will judge an in-hand class of four animals relevant to the section. They will be required to assess the animals standing, in walk and in trot. They will place the animals in their preferred order on the score card provided before leaving the judging ring. The Assessors will judge the ponies at the same time as the competitors. Interview: Following the judging of the ponies each competitor will be interviewed individually by one of the judges in a drawn order; interviews will be conducted indoors. A sheet with full details of the procedure is available and should be consulted.